At The JMB Partnership we are committed to safeguarding and preserving the privacy of our visitors. At JMB Partnership we are committed to safeguarding and preserving your privacy. Please read the following carefully to understand our policies and practices regarding your personal data. We do update this Policy from time to time so please do review this Policy regularly. By using our website https;//thejmbpartnership.com (our ‘Website’) you are accepting and consenting to the practices described in this policy. 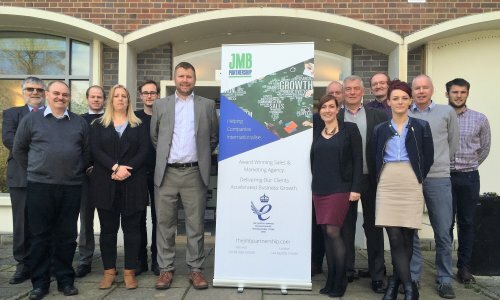 JMB and the JMB website comply to the DPA (Data Protection Act 1998) and with the requirements of the GDPR (General Data Protection Regulation) which comes into effect from May 2018. We will update this policy as necessary following the completion of the UK’s exit from the European Union. Information about your use of our site including details of your visits such as pages viewed and the resources that you access. Such information includes traffic data, location data and other communication data. Information provided voluntarily by you. For example, when you register for information. Information that you provide when you communicate with us by any means. Any information which identifies you obtained when you contact us, via the web site, by email, through the post or over the telephone. This could include your name, address, email address, telephone number and any other personal identifying information. Data obtained when we contact you in respect of one of our clients. We may collect information about your computer including details such as your IP address, operating system, browser type. This information is collected only for statistical purposes. What are cookies? Cookies are small files saved to the user’s computer hard drive that track, save and store information about the user’s interactions and usage of the website. This allows the website, through its server to provide the users with a tailored experience within this website. Our services are listed on the JMB web site. To provide information to you that you request from us relating to our products or services. To provide information to you relating to other products that may be of interest to you. To inform you of any changes to our website, services or goods and products. If you have previously purchased goods or services from us, we may provide you with details of similar goods or services, or other goods and services, that you may be interested in. Where your consent has been provided in advance we may allow selected third parties to use your data to enable them to provide you with information regarding unrelated goods and services which we believe may interest you. We will keep appropriate records of any such consent. Where such consent has been provided it can be withdrawn by you at any time. For operational purposes and to enable us to operate our website it may become necessary to transfer data that we collect from you to locations outside of the European Union for processing and storing. By providing your personal data to us, you agree to this transfer, storing or processing. We do our upmost to ensure that all reasonable steps are taken to make sure that your data is stored securely, conducting any necessary risk analysis needed for this purpose. Data files sent via the internet are not totally secure. We take all measures possible to ensure that any data transferred to/from us in this way is maintained securely. By communicating electronically with us, you acknowledge and agree to our processing of personal data in this way. Should you send personal data to us electronically, this will be entirely at your own risk. if you have previously agreed to us using your personal information for direct marketing purposes, you may change your mind at any time by writing to or emailing us at info@jmbpartnership.com . Our website may contain links to other websites of interest. However, any such web site will not be governed by this Privacy Statement. Once you have used these links to leave our site, we cannot be responsible for the protection and privacy of any information which you provide whilst visiting such sites. You should exercise caution and look at the privacy statement applicable to the website in question. You may request details of personal information which we hold about you. Under the GDPR, a request for personal information is free unless the request is ‘manifestly unfounded or excessive’ in which case a reasonable fee may be charged. If you would like a copy of the information held on you please write to JMB Partnership Ltd, Enterprise Park, Wellesbourne, Warwickshire CV35 9EF. We adopt a Social Media Policy to ensure our business and our staff conduct themselves accordingly online. While we may have official profiles on social media platforms users are advised to verify authenticity of such profiles before engaging with, or sharing information with such profiles. We will never ask for user passwords or personal details on social media platforms. Users are advised to conduct themselves appropriately when engaging with us on social media. There may be instances where our website features social sharing buttons, which help share web content directly from web pages to the respective social media platforms. You use social sharing buttons at your own discretion and accept that doing so may publish content to your social media profile feed or page. So enough about us. Let's talk about you. Whether looking to increase sales, enter a new market or find your perfect business partner, we can help you achieve your B2B growth objectives.